International Family Law: No Exit Controls in the United States! It seems appropriate at this time to reiterate the fact that this country has no exit controls, with minimal exceptions. We try to control who comes in to this country, but we should also control who goes out. Especially if the people who are being taken out are U.S. citizen children who are being abducted overseas. Below is an article I wrote a few years ago about our successful and lucky work in preventing an international abduction already in progress. Are the powers-that-be in our country finally ready to secure our borders in ways that will be meaningful to U.S. citizens checking people as they exit the United States? To the overwhelming elation and relief of our client, a terrified and panic-stricken Chinese mother, we succeeded recently in having a baby intercepted at an airport exit gate as his father was about to abduct him from the United States to India. Mother’s joy at being reunited with her lost child capped our office’s relentless two-week search. The family – a Chinese mother, her American husband and their dual national child – were living in China. After an argument between the spouses, the father grabbed the child and threatened to take him to the States. The Chinese police and then the Hong Kong police were completely unhelpful. The father then took the baby to an undisclosed location in the United States. That is when the mother called us from China, desperately scared and frantic. We got word that the father was in California and with the help of local counsel and others there we secured an ex parte temporary custody order and restraining order in favor of our client. We assisted the mother to obtain an emergency visa allowing her to fly to the States. We then learned that the father was in Arizona near the Mexican border and we sought emergency police assistance there. We then received some information that the father was ticketed for a flight to India. We suspected that India had been chosen because, as we have long warned, India is a well-recognized haven for international child abduction. Just minutes before the plane left we succeeded in having the police at LAX pick up the child at the departure gate for the flight to India. And just a few minutes later the child was safely in our ecstatic client’s arms. The successful outcome resulted from enormous emergency effort in working with courts, police forces across the country, the State Department and other agencies. It was frustrating, expensive and extremely nail-biting, most especially for the distraught mother. And we were very lucky. But the entire process was completely unnecessary. If the United States would check who leaves this country we could prevent international child abductions. 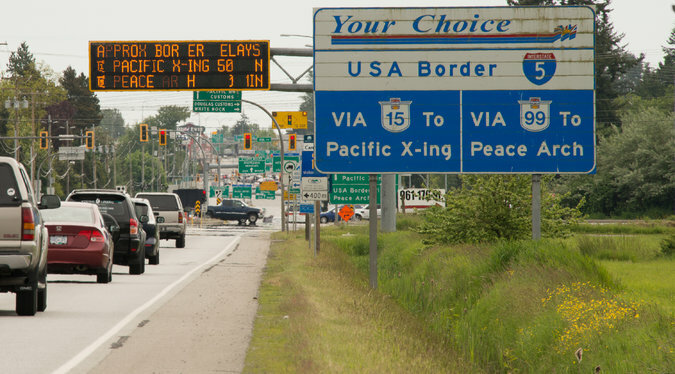 Unlike most other countries the United States has no exit controls (with minimal exceptions). Laws that require the United States to impose such controls have never been effectuated. The measures that exist in the United States to prevent and deter international child abduction are minimal to nonexistent. Those laws that do exist are extremely hard to implement. Court orders barring cross-border travel are routinely violated. Laws that require dual nationals, including children, to possess a U.S. passport when leaving the U.S. are ignored. Amber alert programs are reserved for the most outrageous death-threat type of cases. Police forces don’t want to handle matters that concern child custody issues. Even when an abduction is clearly in progress the resources that are available to assist parents are negligible. We control who enters this country but we leave the doors wide open for any to leave – and to take whoever they wish with them, whether that is a child or anyone else.